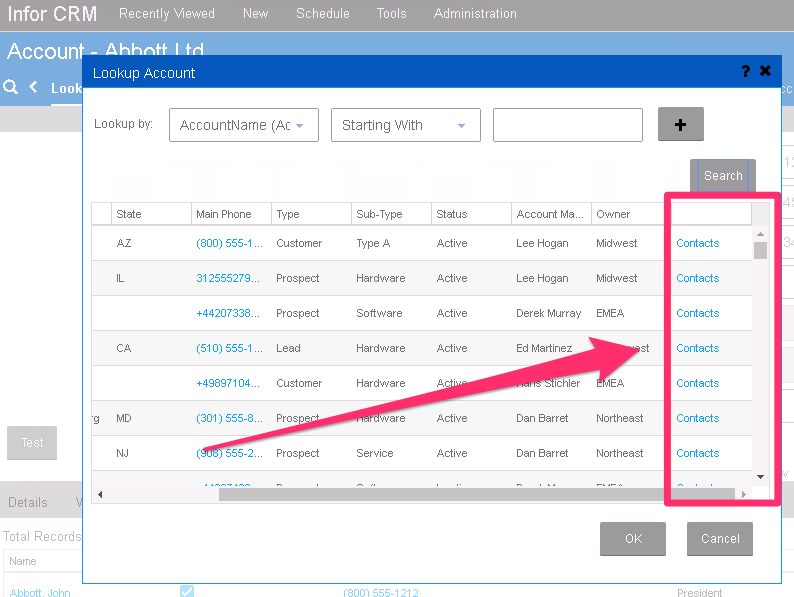 I recently had a request to customize the Lookup dialog in Infor CRM (Saleslogix) to add a hyperlink column that would launch a dialog to show related data to the row in the lookup search results. For this particular request, the customer wanted to add this custom column to any product lookup that would show multiple related ERP records that would assist the user in determining if it was the correct product to select. I’ve also combined all three objectives above into a single code file. This code file can easily be loaded using our Custom Loader Module. With the Custom Loader Module, all you’ll need to do is create a folder under SupportFiles\Custom\Modules named “AccountLookup” and place the code below in a file named “main.js” in that folder. I think the result turned out quite nice and wasn’t too bad to pull off. 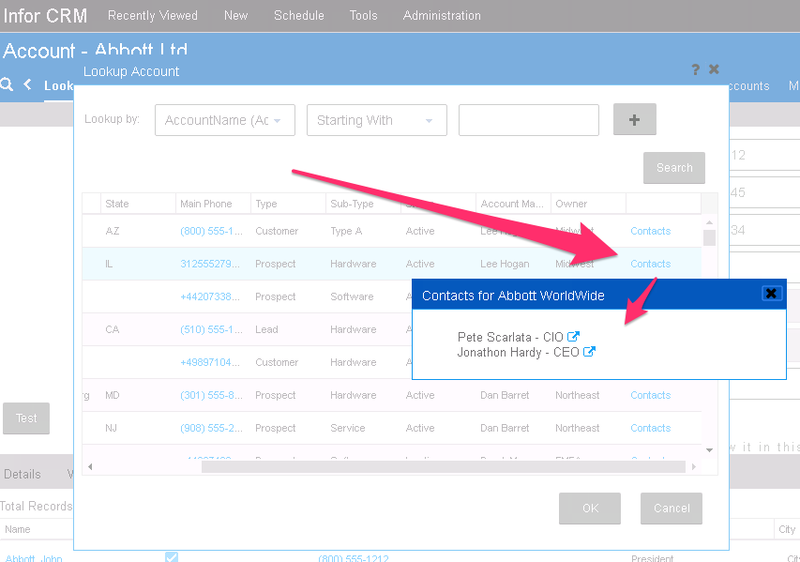 This could also be done using the Dijit TooltipDialog as well to show this on hover, however, that was a little more messy and the way the custom column was implemented made it difficult to ensure the tooltip would fade out when expected and not get in the way, so the dialog made sure the info was there when the user needed it, and wouldn’t get in the way when they didn’t need it.